Like no other winery, Kelowna’s Summerhill Pyramid Winery has been a gathering place for wine enthusiasts, artists, farmers, environmental advocates and progressive thought leaders to come together and share their stories and ideas, while thinking outside the bottle. 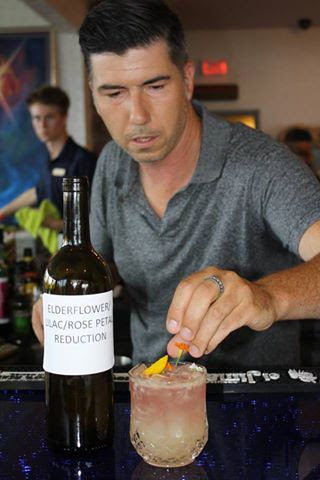 This summer, Gerry Jobe, acclaimed Okanagan-based bartender, joins Summerhill Pyramid Winery as consulting bartender to create a cocktail program that puts the spirit back in spirits. After a massive lobby (and much patience), Summerhill can now add spirits and craft beer to the wines already on the menu in its Sunset Organic Bistro. As the first BC winery in the ALR (Agricultural Land Reserve) to have this new license, they are taking advantage of this in a way that expresses the winery’s unique personality. The winery has linked up with Jobe to oversee their spirits menu, and take their cocktail program to an unparalleled level. Recognized by Western Living magazine as one of their “Top 40 under 40”, Jobe is an award-winning and passionately creative bartender. As a lifetime resident of the area, Jobe feels the need to establish a vibrant and stylish cocktail culture in Okanagan. At Summerhill, he is teaching and empowering the team to create “outside the bottle” cocktails that include a unique story as an essential ingredient. All Summerhill cocktails created by Jobe utilize speciality techniques and ingredients hand-foraged on the sweet aromatic land of Summerhill’s own biodynamic permaculture gardens, including wildcrafted medicinal herbs and syrups aged in the Pyramid. Unconventional cocktail techniques are applied to the creation of each drink, including employing vibrations from Tibetan singing bowls, intentionality and biodynamic rhythms. Taste For Yourself: The Sunset Organic Bistro, featuring Summerhill’s wines and custom cocktails, will remain open daily this Fall and offers lunch (11am – 3pm), a grazing menu (3 – 5pm) and dinner (5 – 9pm). The Bistro also serves brunch on Sundays from 11am – 2pm.